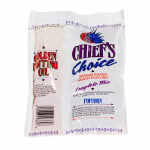 These Star CC286OZ Chief's Choice popcorn portion packs are designed for Galaxy® and Super JetStar® popper machines but work with nearly any 6-ounce unit. Staff members can quickly add the ingredients by cutting off the pouch top and pouring the mix into the kettle. 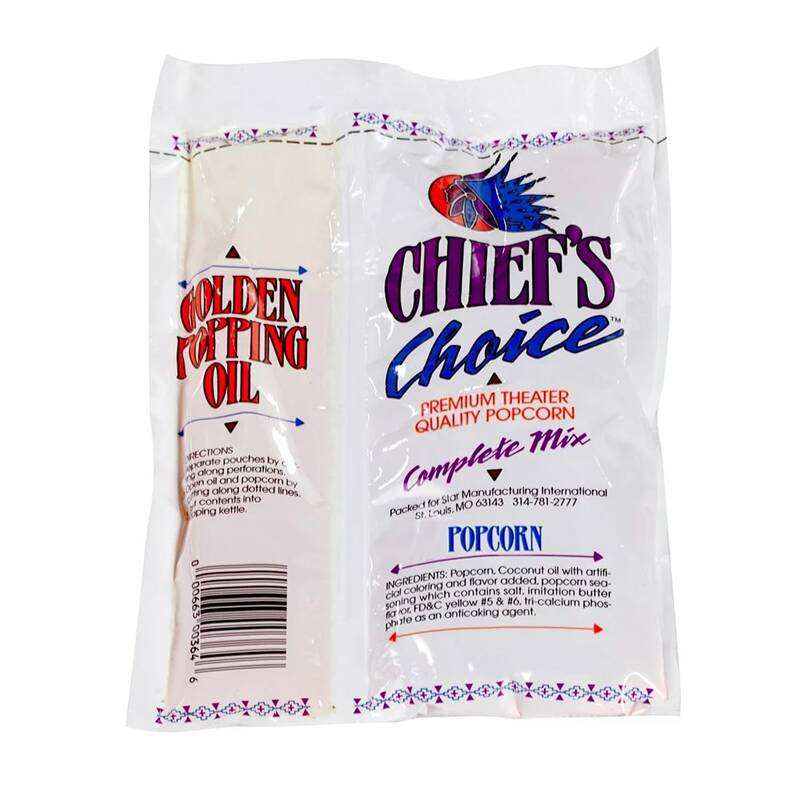 Each of the Star CC286OZ Chief's Choice popcorn portion packs has 6 ounces of popcorn, 2 ounces of oil, and 6 grams of butter-flavored popcorn salt. 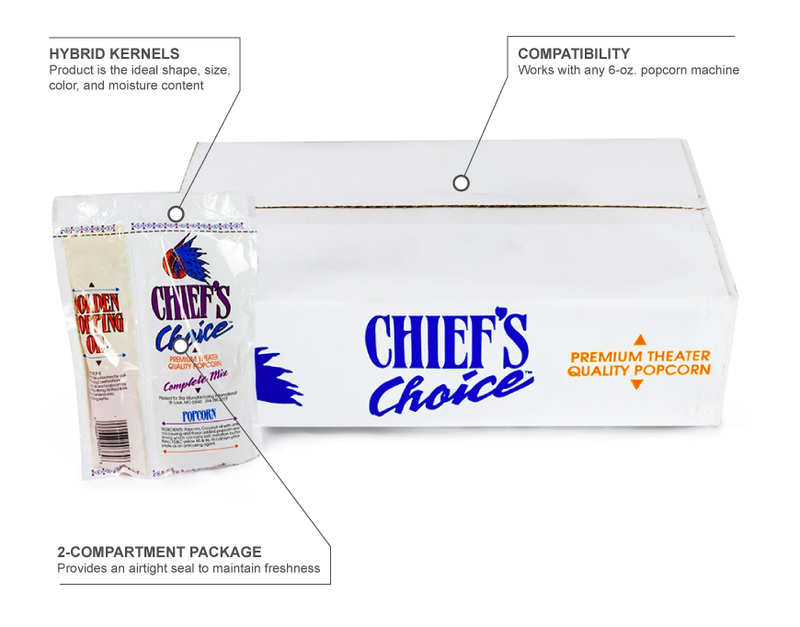 Kernels chosen for the mix have the right moisture content, size, and shape to create a fluffy final product. Want to read more about the popcorn industry? Take a look at our guide to selling popcorn, where we cover some of the important aspects of the business. "This is the most popular snack item I purchase. When I place my order the customer service rep is very courteous and I receive my order very quic..."
"We order these packs every few weeks. [...] the product is always fresh and perfectly seasoned! I never buy popcorn for my popper from any othe..."
"We have a kettle popcorn popper and use it several times per week. These packs are very convenient and the product is delicious. [...]"
"This is the most popular snack item I purchase. When I place my order the customer service rep is very courteous and I receive my order very quickly to the delight of everyone here." I always buy this here! "We order these packs every few weeks. [...] the product is always fresh and perfectly seasoned! I never buy popcorn for my popper from any other location."